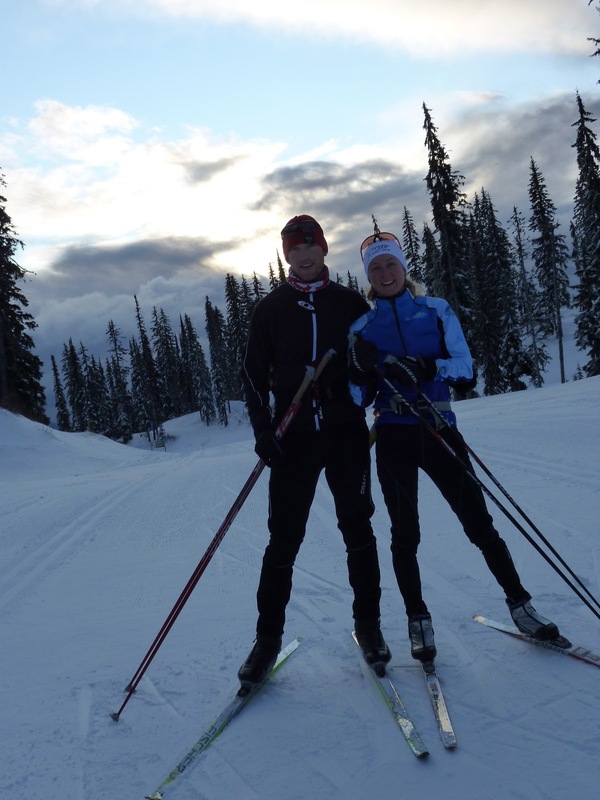 Winter training has begun and what a better way to kick off the ski season than with a ski camp. After years of hacking away relying on my fitness, rather than an efficient stride to get me up the hills, I signed up for one of the Sovereign Lake ski camps. I was pumped to arrive and find out I would be skiing with my buddy Kris Sneddon from the Canadian national mtb team as well as a great group from California, Wisconsin, Quebec and Alberta. The early season skiing was fantastic as Kris and I took to the trails on Skate skis with our fearless leader “Munny”. The camp was awesome, catering to all levels of skiers and what we wanted to get out of the camp. We even got treated to an afternoon at the Biathlon range where I shot my first rifle and became hooked on the sport. So this week I have skied classic and skate, up and over the mtn a couple times, done a Biathlon relay with my group, eaten some awesome food, done Yoga, been treated to spas and massages and enjoyed a delicious coffee at Bugaboo’s each afternoon. Yes the life of a professional athlete has its perks! Jen loving the sunny day! I’m sad to see the week ending way too quickly. The campers and coaches have been so much fun and the skiing awesome too. At least I have bike camp next week to look forward too. Changing gears! it sounds like so much fun! 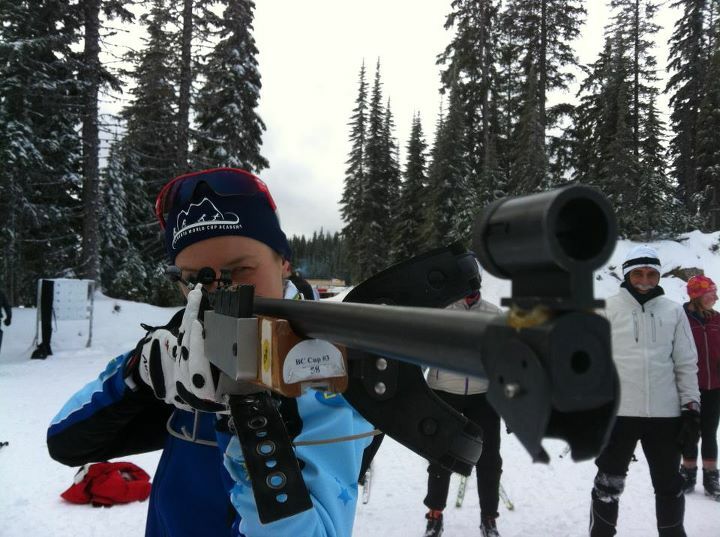 I am envious of the biathlon training as I was signed up for hunter safety this year and then baled because I had too much going on. Next year.